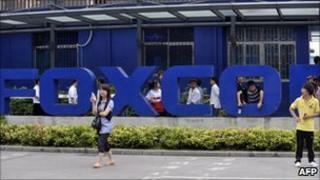 Foxconn in planning to invest as much as $12bn (£7.4bn) in Brazil, according to the country's president Dilma Rousseff. Taiwan-based Foxconn operates the majority of its factories in China, producing goods for firms like Apple, Hewlett Packard and Dell. The electronics maker has been looking to expand its operations beyond China, due to rising Chinese labour costs. Foxconn is the biggest contract electronics manufacturer in the world. Ms Rousseff said that her government was discussing various options with the company. "You've got an ample range of investments that go from $300-to-$400m to $12bn over 5 to 6 years in the case of Foxconn," she said. Meanwhile, Brazil's science and technology minister Aloizio Mercadante said if discussions and negotiations go smoothly, Foxconn is planning to begin assembling iPads at its plants in Brazil as early as this year. "The negotiations are far from complete but I'm confident," he said. Brazil is one the fastest growing economies in the world, making it an attractive market for companies. However, many firms have not been able to tap fully into this potential as high import tariffs make their goods expensive. Analysts say that if Foxconn's planned investment does go through, it will make it easier for its clients to penetrate the South American market. "It makes a lot of sense," said Peter Misek of Jefferies & Co.
"If you're trying to serve Latin America, Brazil is certainly the biggest country you have to hit," he added.